Luke wins in the wind at Kestrels! The weekend of 10/11 May 2014 has been noted for the high winds and changeable conditions but while some of our archers managed to struggle through to the end of the shoot, for others the shoots themselves were halted midway. The Kestrels Archery annual St. George/Albion/Windsor shoot up in Biggleswade was just such a victim – being called off after 3 dozen arrows. But not before Luke (Mr Medals) Morgan shot his way to a win in the Short Windsor! Each end was taking ages due to arrows being blown off rests and some very cold people taking coats on and off. He shot well and managed to win with a score of 186! Not sure how that sits with rankings but we got a gold medal! Well done and congratulations Luke! Reece Johnson, formerly of Phoenix Archers but now firmly part of the RTAC family has shot his way to a UK Record! 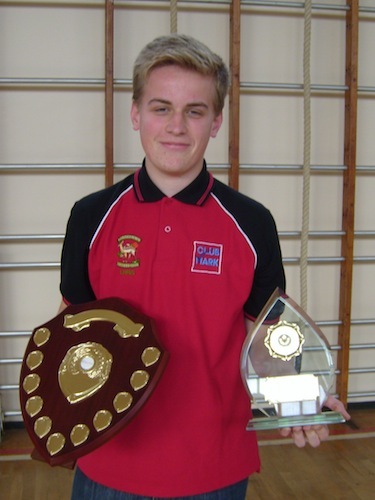 Mum Diane told us (via Facebook) that Reece had been awarded the Double Bristol IV Junior Gent [U14, U12] record with a score of 2486 on 4th August 2013 at Eastbourne. Fantastic news, Diane and Reece, and well deserved: congratulations! Here’s hoping for many more to come! 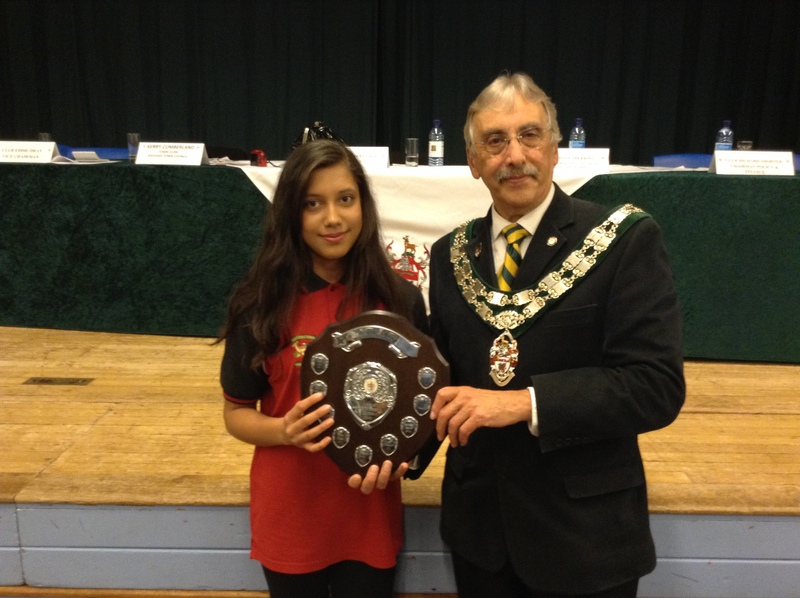 Lauren B: Rayleigh Town Council Junior Sportsperson of the Year 2014! Our very own Lauren B was awarded the Rayleigh Town Council Junior Sportsperson of the Year 2014 at a ceremony held on 24th April at the Sweyne School. The award is ‘presented to individuals who have performed exceptionally well in any sport…and who reside or attend a club in Rayleigh‘. 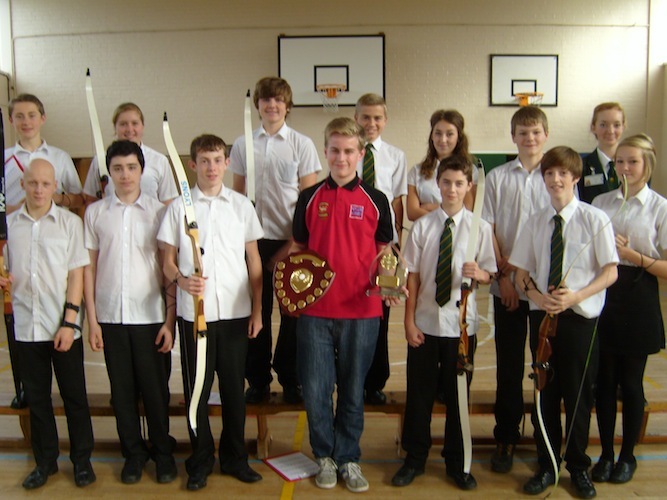 Having been accepted into the Archery GB Regional Academy programme, Lauren has committed to a lengthy and demanding training regime, shooting a huge volume of arrows every week along with numerous other technical and fitness exercises – all while attending school and competitive shoots: at which she is very often the category winner. Unfortunately Lauren suffered a shoulder injury recently (non-Archery related!) which has impacted on her shooting. Winning the Young Sportsperson award has certainly helped put her back on track. It really has put a smile back on her face, it has seems to have been a long time out of shooting due to injury. Last Tuesday the physio officially gave her the ok to start shooting again. Congratulations to Lauren (and family – its a team effort!) from all of us at the club – the award is richly deserved (and great to see you accepting it in Club colours)!